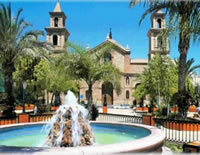 Santa Pola is a popular coastal resort located within 14 km to the south of the provincial capital city of Alicante, and 12 km to the south-east of the historic and cultural city of Elche. 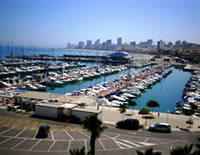 Alicante international airport (El Altet) lies within 11 km to the north of the town, offering an extensive range of national and international flight destinations. 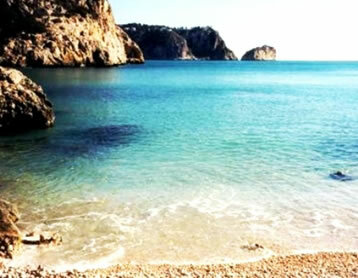 The high velocity train service (AVE), which connects Alicante with Madrid within 2 ½ hours, has also finally reached Alicante, having been inaugurated in June 2013. 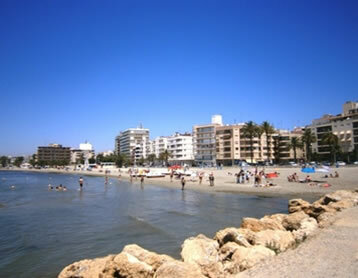 From Santa Pola, both the airport and the city of Alicante can be reached via the N332 national coast road. The same road also gives direct access to the urbanizations of the sub-district known as Gran Alacant, which is found within 4 km to the north of the town of Santa Pola, and is described later in this report. 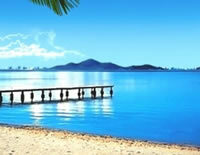 Traditionally, the local economy was based primarily on the fishing industry, but over the past few decades the tourism and construction industries have become the most important economic activities in the area. This is reflected in the fact that during the summer months the population more than doubles due to the volume of tourists that are received. 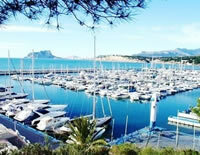 Furthermore, the new ¨Miramar¨ leisure marina has been developed over the past few years, offering 234 berths for sale or rent; a diving academy, plus bars and restaurants. 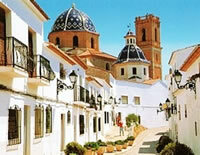 In addition to its leisure facilities and sandy beaches, the town of Santa Pola also offers historical, cultural and environmental experiences. Within the town you can visit the Roman ruins of the ¨Portus Illicitanus¨; the Roman House of the Palmeral; the 16th Century Renaissance castle-fortress, plus the archaeological and fishing museums and the aquarium. To the south of the town you can visit the Salinas de Santa Pola (salt lakes) in the natural park, where you can get information and book a date for a formal visit. The natural park extends to 2.570 hectares and is graced with incredible views of flamingos, which number over 3000 at the end of the summer. Also visible from the N332 at the entrance to the park is the Torre de Tamarit landmark look-out tower. 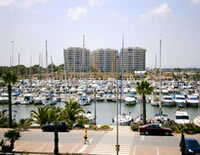 Gran Alacant is a sub-district of the town of Santa Pola, which is made up of a collection of residential urbanizations that have mostly been developed over the past decade. 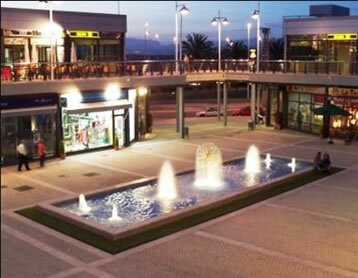 Each part of the estate is provided with commercial areas providing shops, bars and restaurants, with the main shopping area being contained within the GA Commercial centre, located at the entrance to the estate. In addition, the Gran Alacant estate is provided with a local public school, a medical health centre, a public library, a post office and a municipal sports centre. 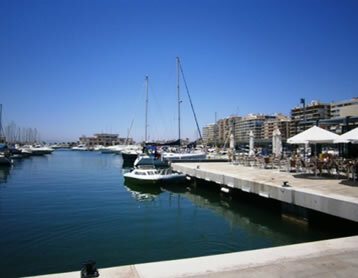 Gran Alacant experienced a building boom during the period 2000-2008, and became a very popular residential and holiday destination for northern European purchasers, particularly of British, Irish and Scandinavian origin. 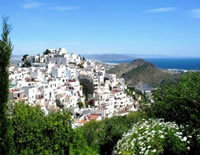 The area has expanded such that the local population has grown to over 11.000 inhabitants, which represents a third of the total population of Santa Pola. 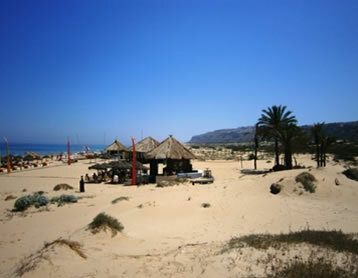 One of the principle reasons for Gran Alacant being such a popular residential / second home holiday destination is its accessibility and proximity to the airport, plus the cities of Alicante and Elche, but another is the superb natural blue flag beach that it offers (Los Arenales - El Carabassi). 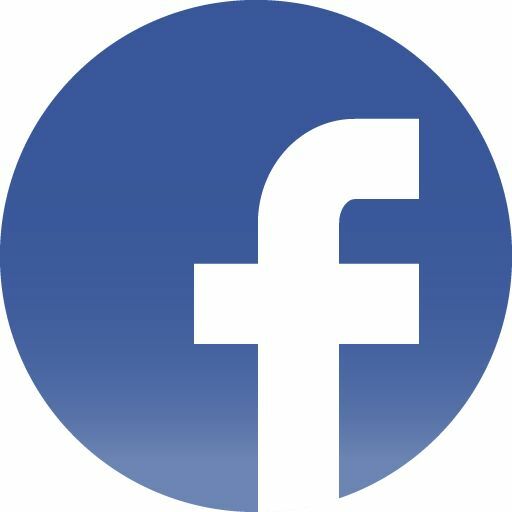 An added attraction in the future, for both second home purchasers and investors alike, will be the proposed Balsares Golf and residential resort, which will be developed on the west side of the N332, providing two 18-hole golf courses; plus a wide range of sports, leisure and commercial amenities. 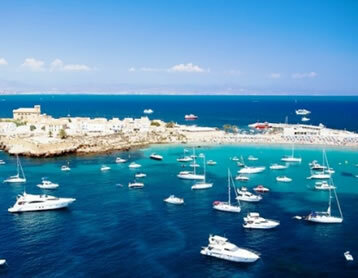 Three miles off the cape of Santa Pola lies the Island of Tabarca, which extends to 1.800m in length and 400m in width. 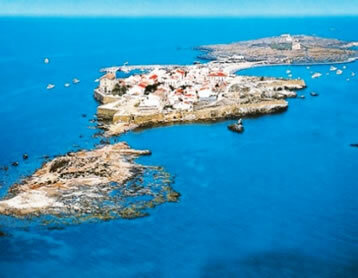 The island has its own rich history, having been invaded by the King of Tunisia in 1741, who made prisoners of the island´s Genoese inhabitants, later to become prisoners of the Sultan of Argelia. Following the release of the prisoners by King Carlos III of Spain, the island was used as a military lookout post for protection against pirates. 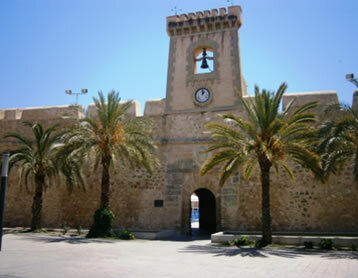 To this day, Tabarca remains inhabited, and in 1986 the island was declared part of a Protected Marine Reserve, which extends to over 1.400 hectares. 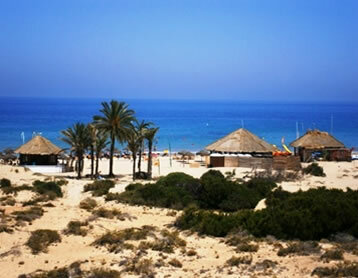 Day visits to the island can be made via a 30 min boat service from Santa Pola.